Welcome to Atlantis! A brand-new movie that we love! Aquaman! 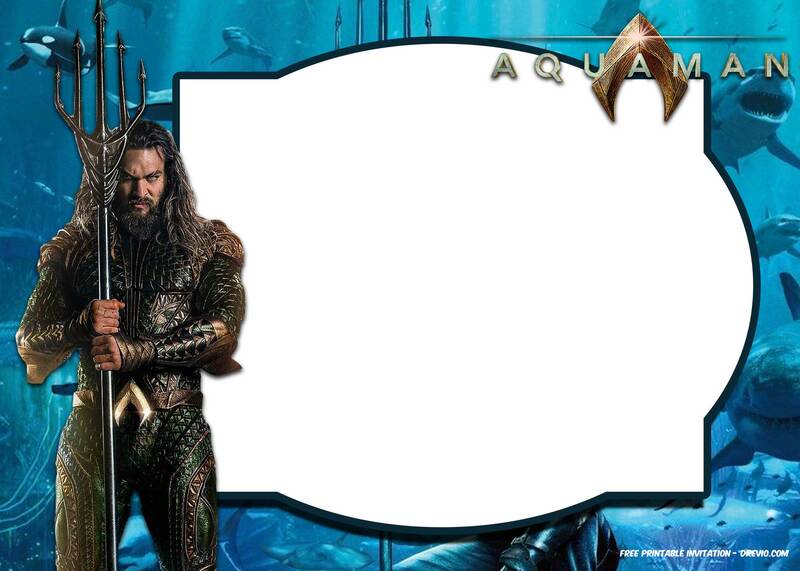 If you are a big fan of Aquaman and wants to celebrate your next birthday , you can download our free printable Aquaman birthday invitation templates. You can choose the best for your party. 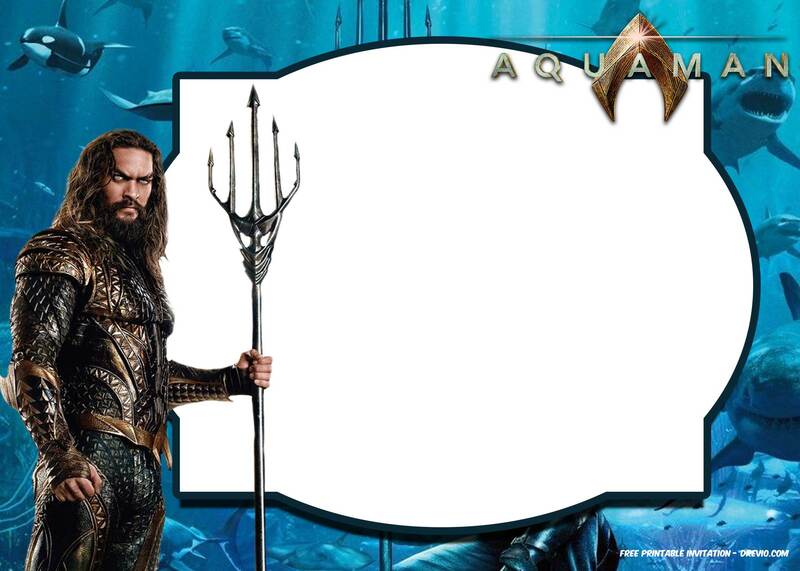 Aquaman is a 2018 American superhero film based on the DC Comics character of the same name, and distributed by Warner Bros. 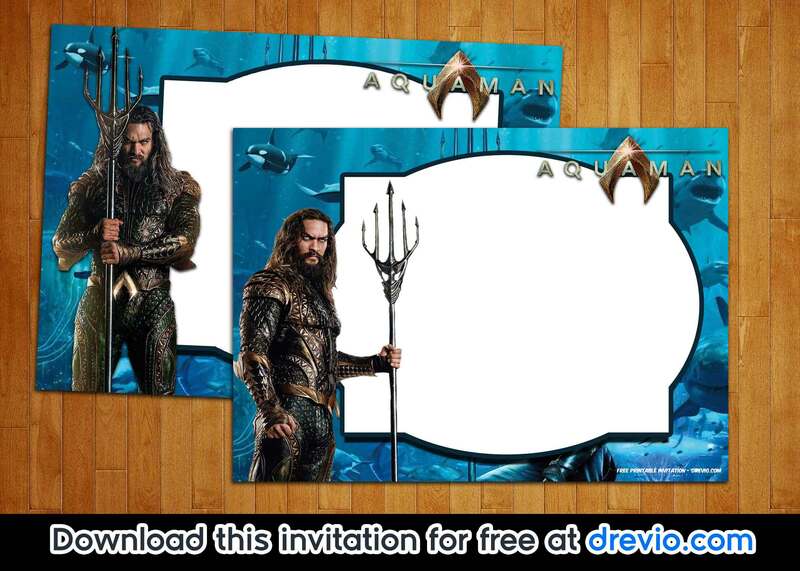 This Aquaman birthday invitation templates comes in 5×7″ with high quality image. Comes with blank form, you can simply download and write down your birthday party details on it. You can write down time, date and location of your birthday party details. If you’re able to operate Photoshop, you can simply download and edit it on Photoshop. How to Download this Invitation? 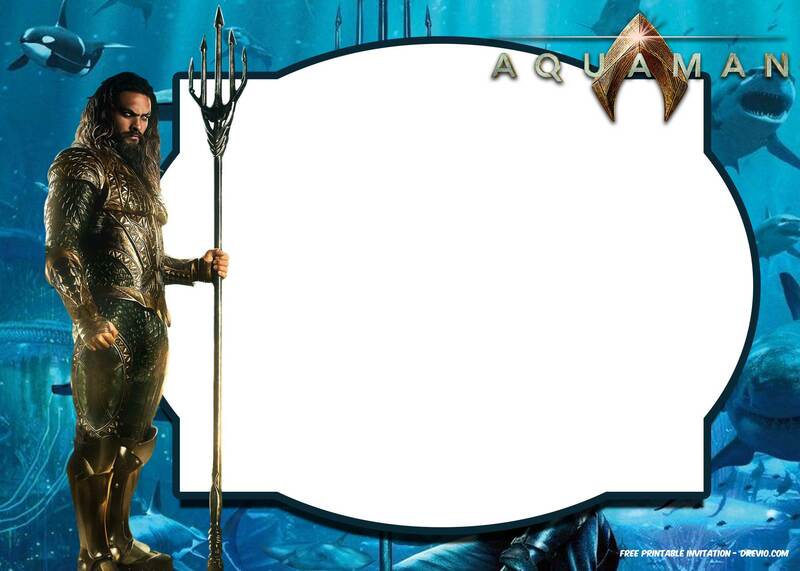 Downloading the Aquaman invitation template is really easy! All you have to do is just click on the invitation, then Save the image as. Save it on your Desktop or specific folder. Then save. You’re done! That’s all! The best paper for this invitation is cardstock paper where you can get it on Amazon.com. Cardstock paper brings authentic and premium feeling to the invitation. 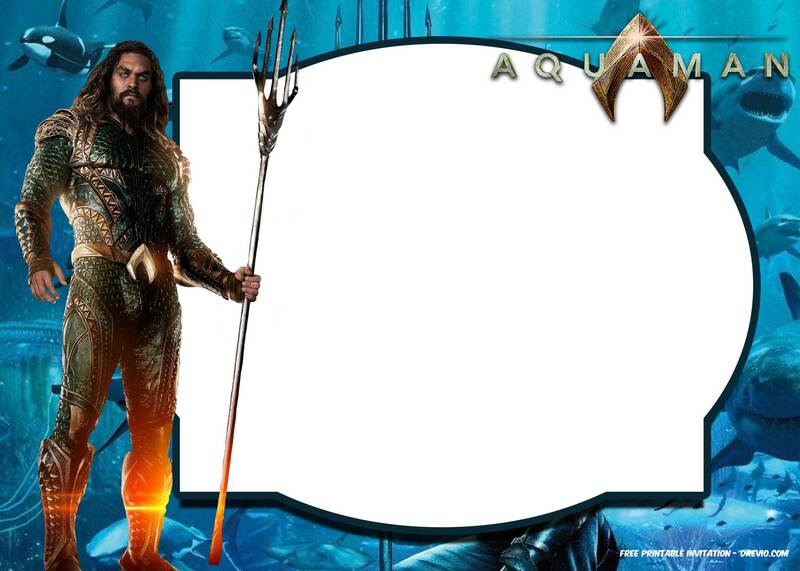 In the event you need any wording ideas, you must use your individual wording or get some of wording invitation for Aquaman in the internet.